Overview: The tranquil setting of our large subtropical hillside garden invites you to relax as you arrive at Mdoni House Guest Lodge. Comfortable en suite bedrooms with TV, fridge, hostess tray, ceiling fans etc: guest lounge with DSTV and licensed honesty bar: a la carte breakfast served next to the sparkling swimming pool: braai area and secure shady parking. 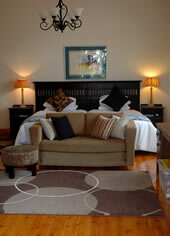 Self Catering guests are accommodated in our charming fully equipped garden cottage. Overview: Owner run Korongo Valley Guest Farm is situated 4.5km from Ixopo on the R56 en route to the Wild Coast. 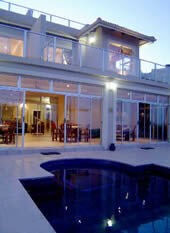 A variety of accommodation is offered from Self Catering to Dinner, Bed and Breakfast. The cottages are set in the picturesque garden overlooking the valley. If you are looking for peace and tranquillity or just an overnight stop come and revive your spirits in the peaceful surroundings of the country. We offer full farmhouse breakfast, wholesome country dinners and pub style lunches. Swimming pool, children's playground, animal farm, walking, birding.